YouTube’s attempt at ‘the motion before the council’. I think. has no actual legal power [but] still has a huge impact on successful functioning of Parliament. MPs share their own quotes, they quote things back to one-another, journalists cite questions and answers, and every day TheyWorkForYou sends tens of thousands of email alerts to people who want to know who said what yesterday in Parliament. Without freely available transcripts of Parliamentary debates, it is likely that Parliament would not be anything like as prominent an institution in British public life. One of the things I discovered when attempting to tweet from council meetings is that it’s actually quite hard to do if you are trying to remain ‘present’ at the meeting, but it was well received outside of the meeting. On both occasions I engaged with far more people via Twitter than were in the public gallery watching. But it was imperfect, even when I’d pointed towards the agenda documents on the web, people found them hard to follow. The council does publish the meetings via its YouTube channel, but the viewing figures are hardly stellar. They rarely hit double figures, even for controversial debates (and, no, I’m not any of those viewers), and this reflects that such unstructured broadcast isn’t that useful. How do you know who is speaking, when, on what? But that is overcome by the written word which is easily accessible, searchable and adaptable. Rewinding a few seconds to catch something you misheard is a pain, re-reading something is second nature to most. We believe that being able to get sent some form of alert when a council meeting mentions your street is a gentle and psychologically realistic way of engaging regular people with the decisions being made in their local governments. We believe transcripts are worth producing because they show that local politics is actually carried out by humans. 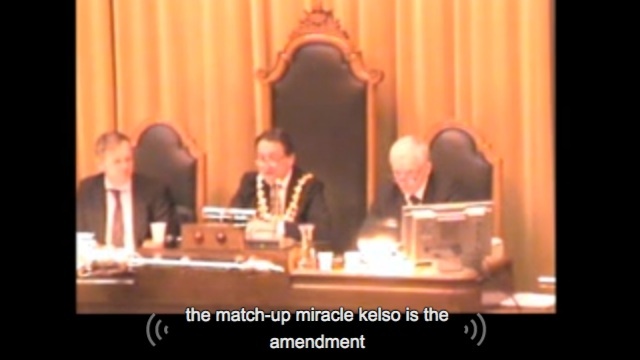 I wonder if they are being a little ambitious with their faith in transcribing technology – YouTube’s automated captioning needs a lot of work – but this is definitely something to watch: a great idea and can’t wait to see it in action somewhere.